I called this blog 500 Hats because as TLs, that’s at least the number of hats we wear – sometimes all in one day! And this post was going to be about identifying some of those hats. But for a hat to be a good fit, it must match the shape of the head so perhaps it would be better to examine the head first. In other words, examine the purpose and role of the school library, and the one we work in, in particular. 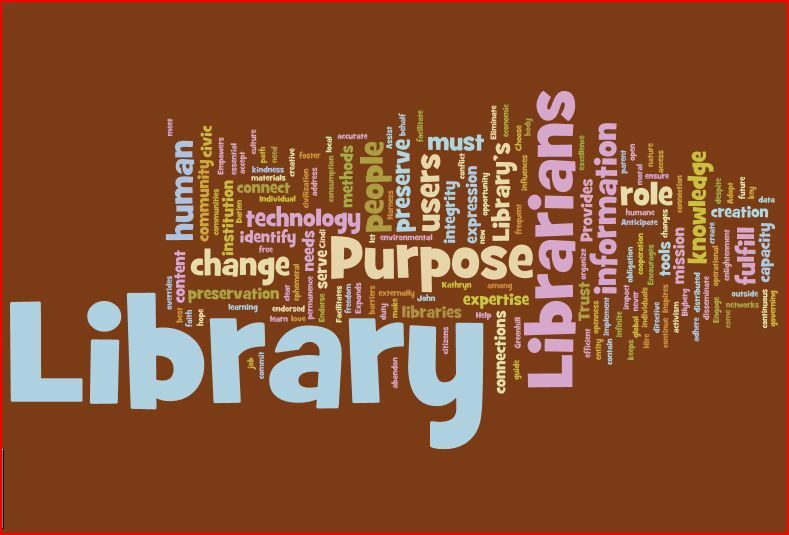 The late Dr Laurel Anne Clyde wrote her thesis on the history of school libraries and there is a broad summary of the Australian situation available from The Hub. Even the most cursory glance at either of these will show that the purpose and role of the school library is continually changing to meet the needs and interests of its users. For most, the days of it being the vehicle for getting religious and didactic stories into the hands of the ‘unwashed masses’ so they could learn to live more wholesome lives have gone and if we still wore that sort of hat, if would be an uncomfortable fit for many. If we don’t define what the purpose of our school library is and how it fits within the overall ethos and philosophy of our school then the hats we wear won’t fit well or be very flattering. Similarly, if we don’t have a vision for how the library will grow and change under out stewardship, it won’t be long before the current hat is tight and uncomfortable. These statements have also been encapsulated in a graphic by Stacey Taylor. 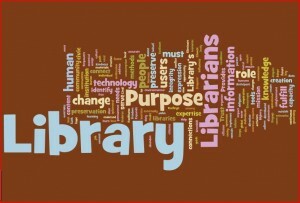 How do these compare with your beliefs about the purpose and role of your library in your school? Why not prepare your own Statement of Beliefs for presentation at a staff meeting? I believe that if the school library is to have its rightful place at the hub of the school, then its purpose and role has to be determined by the school community. There needs to be consensus about what we want our students to know do, understand, appreciate and value as a result of their school experience and the library’s role in supporting that. Similarly, we need to share a vision for the future of the library. While in the past, deep educational and pedagogical change has taken years, perhaps a generation, the speed of technological developments has initiated significant societal changes and schools and must respond to those much faster than before.The library, with its technological-savvy TL is often the leader of that. The concept of Library 2.0 is rapidly becoming reality as the prevalence and use of social media tools become the norm rather than the rare. No longer is the library confined to a physical building or its collection to print resources lined up on shelves. Rather than the transfer of information it presumed users wanted, the emphasis is now on the creation of information that users have indicated they need. Similarly, as well as catering for the needs, interests and abilities of those who use the services and resources, we must also consider the “long tail” – those whose needs and interests are not met by the common, the popular or the overtly-on-offer. The role of the TL is shaped by the role of the library. Perhaps, as we in Australia head into a new school year, it is a great time to start forming and articulating the shape of the head on which we will hang our hat.